Transform your kitchen, bathroom, living area or outdoor area with our extensive range of natural stone and composite stone products designed to suit any style of home. Choose from a diverse range of granite, marble, travertine, limestone and composite stone products whether it be for your kitchen benchtop, bathroom vanity top, splashback, flooring and even your staircase. 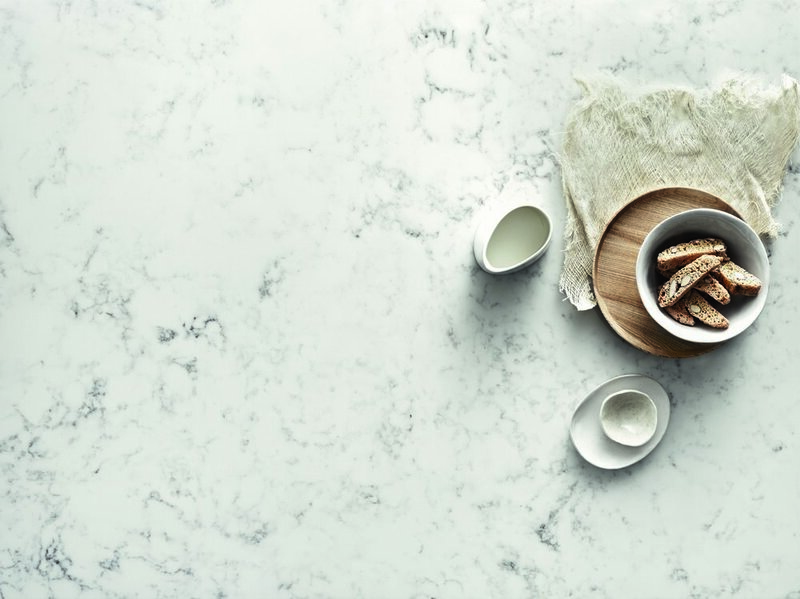 Our stone for benchtops and other applications are available in honed or polished finishes, various thicknesses, a large range of contemporary colours and a variety of edge detail to suit your chosen application. We source and purchase the stone for our benchtops and the benchtops are manufactured by Stoneware Productions, a proud to be a member of the CIS Group, a unique partnership between three of South Australia’s leading stone fabricators, suppliers and installers: Commercial Ceramics & Stone Pty Ltd, Italia Ceramics Pty Ltd and Stoneware Productions Pty Ltd. The company’s experienced stonemasons select, cut and polish slabs from our substantial on-site stock of stone, drawing on many years experience, passion and respect for the raw material. Visit Italia Ceramics showroom 55 Glynburn Road, Glynde to discuss benchtops for your next project. Let our interior design consultants guide you to selecting the best stone to suit your domestic or commercial project. Choosing Marble for your benchtop can provide subtle colour or a bold statement offered in various colours such as beiges, browns and greys. Marble is a crystallized limestone that is not as hard as granite but more porous than granite, making it more susceptible to staining and therefore is more suitable for foyers, bathrooms, fireplaces, studies or libraries. Marble comes in many different colour variations and usually displays a prominent veining pattern with luxurious swirls and patches of contrasting colour that makes marble famous. Travertine benchtops add an extremely elegant touch to any space – subtle beauty, smooth textures and regal classicism. Our exclusive range of travertine provides stability and long-lasting performance as well as the inherent beauty that comes from natural stone. It is also a stylish option for combining natural stone with its outstanding durability. Limestone is made by the accumulation of organic materials such as shells and coral that gives it a unique, natural look. Sourced from mother nature, the porous stone material comes in a diverse range of neutral colours from ivory to golden brown. The diverse range of colours makes limestone a versatile design option for flooring. As it is a softer and more porous stone it may not be suitable for all areas in the home because it will stain easily. Sealing is recommended to protect the stone’s natural beauty and performance. Limestone is mainly offered in a “honed” or matte finish and will require preventative maintenance over time, as it is very porous. Composite stone (also called engineered stone) is an artificial product manufactured from up to 93% quartz and high-quality polymer resins and pigments compacted under intense pressure. The quartz slabs are then machined to precise thicknesses, and polished to a lasting shine. Composite stone surfaces retain the cool, tactile qualities of natural stone but offer design freedom for virtually any interior surface in the home from kitchen benchtops, bathroom vanities and splashbacks, and also offers a versatile finish for commercial buildings. Composite stone does not require sealing because of it’s non-porous nature, so it’s highly resistant to staining, very hygienic and easy to maintain.